On a clear night in New York City, you can’t actually see the stars. You know they’re there but how often do you feel moved to look up into the sky to see them? All of the lights from street lamps, lights, tall buildings, not to mention clouds, if it’s a cloudy day, drown out the magic that occurs in a clear night sky when there are no other lights to compete with. I spent the last couple of nights with my husband at a rented cabin in the heart of Woodstock. On Tuesday night we hiked the Eastern trail of the Comeau property and afterward bought tickets to a film at the local theater. When we got back to the cabin it was late and pitch black except for the lights on in the cabin, which was basically in the woods. When I stepped out of the car and looked up into the sky I was just stunned. First of all the trees at this place were just so tall, they were like towering giants shooting straight up into the sky. They framed clusters of sparkling stars and swayed in the breeze with an ominous presence that made me feel tiny in the most comforting way. Nothing else mattered to me in that moment but seeing those stars. They were so still and yet filled with so much life despite being reflections of light emitted from explosions that occurred many years ago. I don’t really understand it. There the night sky is above us all the time, every single night and yet we never see it like this. We turn on the television, our phones our laptops and spend so much time with our heads down in the light of our devices. 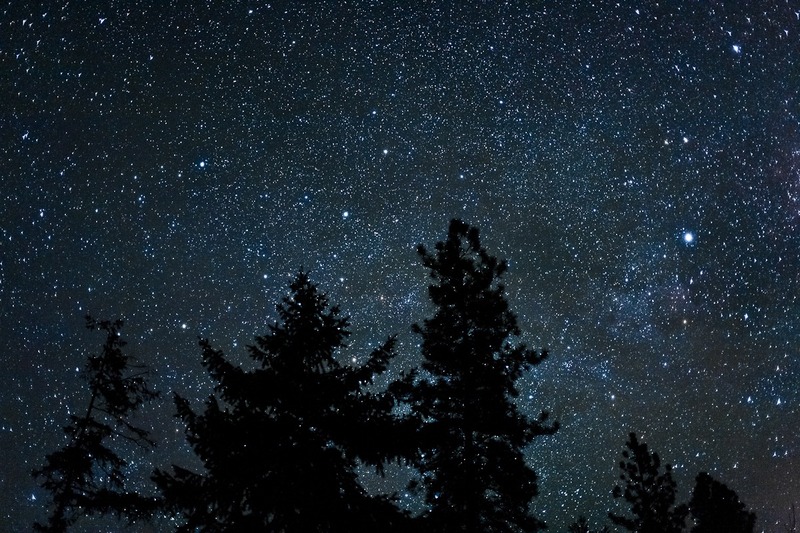 If I could have access to a view of the stars like this one, I would be looking up every night the sky was clear. I would never miss it. It would become one of my favorite new series, one filled with mystery, beauty, romance, excitement and wonder with no repeat performances.